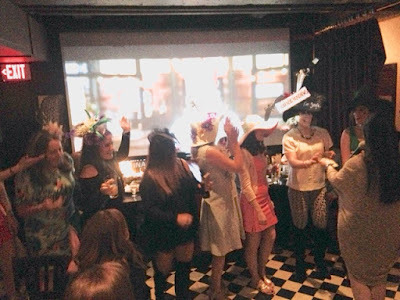 There were mint juleps in tumblers, lots of attendees in fancy Derby outfits, a hat contest, a big screen to view the race, and even free bourbon samples & tshirts from Woodland Reserve. 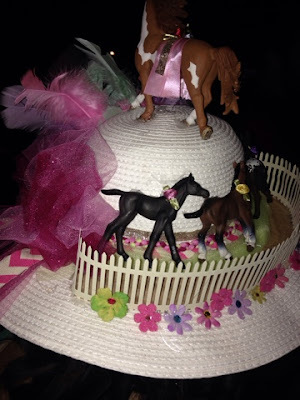 Love this homemade hat! So tacky and hilarious. Afterwards I headed around the corner to Club Cafe. 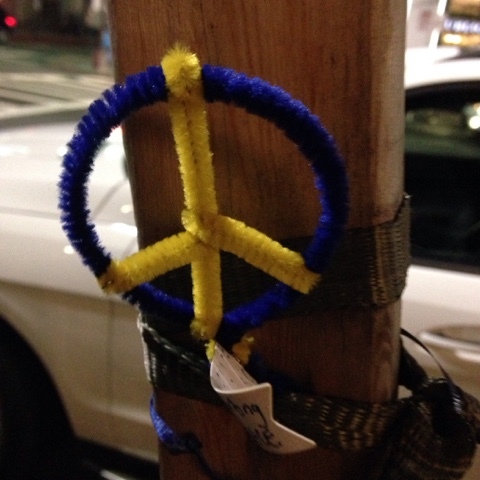 On the way, I saw this tied to a tree near the Boston Marathon Finish Line. 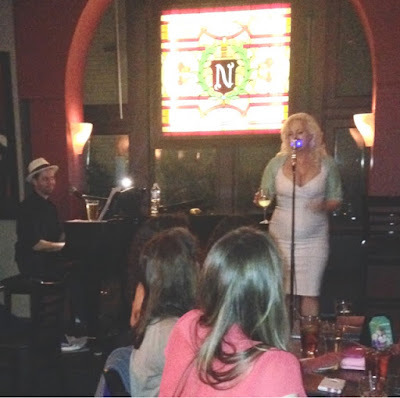 Club Cafe had Niki Luparelli and "Dapper Dan" singing cabaret in the Napoleon Room. Fun end to the old fashioned glamorous kind of afternoon and evening -- fun times in Boston! 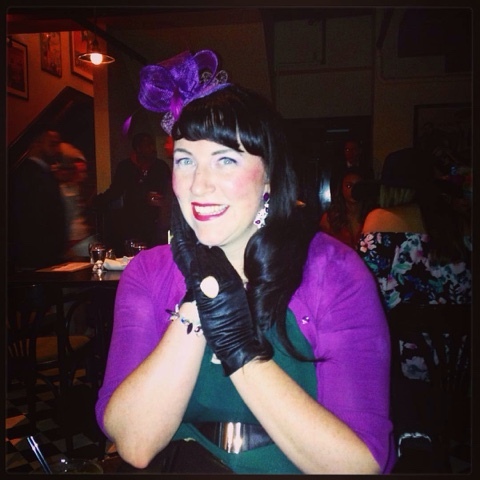 This was my ensemble. More about that in this Kentucky Derby Outfit of the Day post.